Note: That $467/month is the average monthly premium being paid across 48 states this year. Since actual medical expenses go up every year anyway, it's likely a bit too low, but it should be close enough for this illustration. 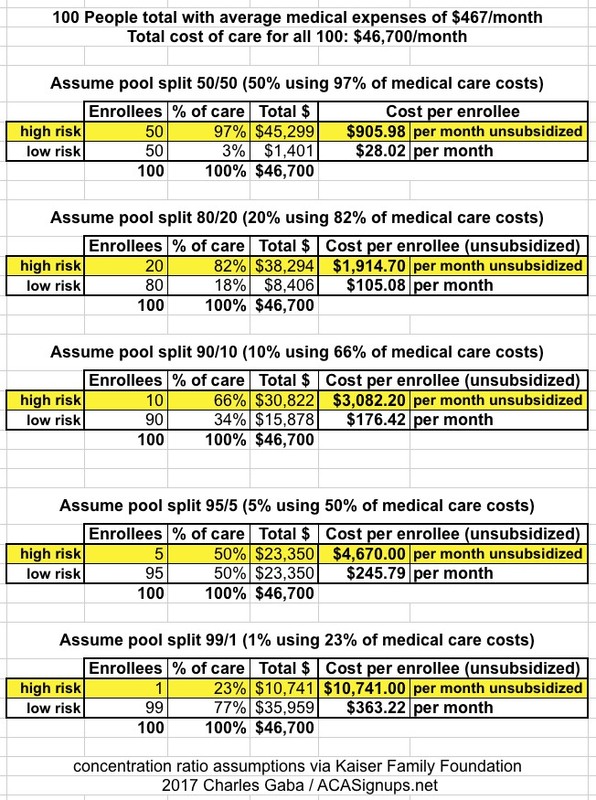 Cruz Plan Enrollees: Dirt-cheap premiums for "low risk" enrollees for policies which likely wouldn't cover a range of expensive treatments. ACA Plan Enrollees (subsidized...under 350% FPL income): Comprehensive policies which cover most services/conditions, w/crazy expensive premiums, partly/mostly mitigated by tax credits. ACA Plan Enrollees (unsubsidized...over 350% FPL income): Comprehensive policies which cover most services/conditions, w/crazy expensive premiums paid at full price. ...an amendment to the BCRA, suggested by Senator Ted Cruz (R-TX), reportedly would allow insurers in the non-group market to also sell some policies that would not be required to follow all of the ACA market rules. 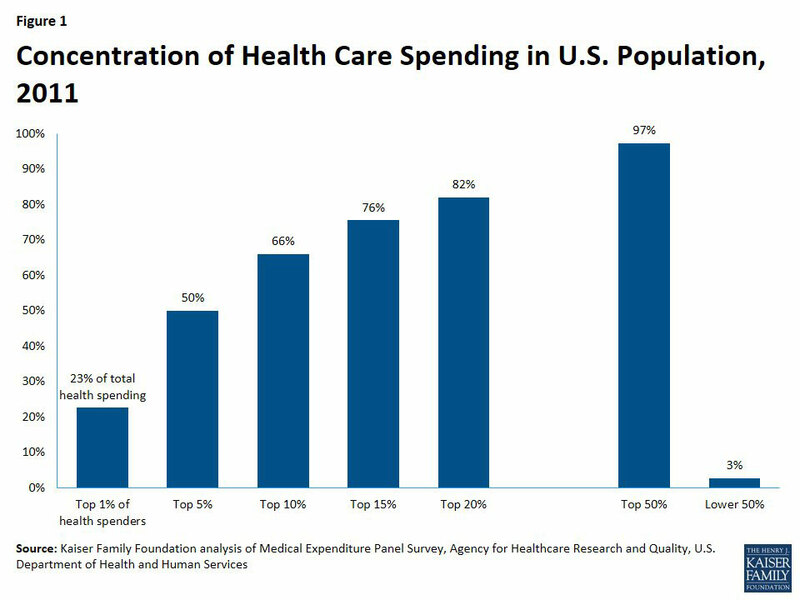 For example, such policies might not have to follow ACA essential health benefit and cost sharing standards. In addition, some reports suggest that insurers would not have to sell these policies to people with health conditions or risks and could vary premiums for them based on the health of applicants. This brief examines the likely impact of such a change on the stability of coverage offered through non-group markets and on the number of individuals who might be affected. They estimate the total ACA-compliant individual market as being around 15.3 million people in 2015. This sounds low to me, but presumably doesn't include grandfathered/transitional enrollees, which had higher numbers 2 years ago than today. They estimate that around 40% of individual market enrollees (as of 2015) had incomes over 350% FPL, and would thus not qualify for tax credits under BCRAP, or 6.1 million people. They further estimate that around 23% of those folks would have pre-existing conditions of the type which would get them denied coverage from a "Cruz Plan", or 1.5 million people. They earlier estimated that around 27% of the total individual market has pre-existing conditions of the type which would likely get them denied coverage from a "Cruz Plan"
*It's important to remember that the BCRAP tax credits are based on a Bronze ACA plan, not Silver; the cost for a Silver ACA-compliant plan would be far higher than this). ...except, of course, that most of those 1.5 million would have no way of affording their $18,000, or more, per year, per person premiums, and would drop out entirely. Meanwhile, at least some of those 11.2 million people enjoying their dirt-cheap #BCRAP plans will suddenly find themselves pregnant, diagnosed with cancer/diabetes etc, only to discover that, surprise, their dirt cheap plan doesn't cover whatever condition/ailment they've run into...and they're SOL until the next open enrollment period, which could be up to 10 months away. Too bad, so sad. Of course, once open enrollment does kick in again, they'll be free to sign up for one of those ACA-compliant policies...assuming, that is, that they and their bank account are able to survive that long.